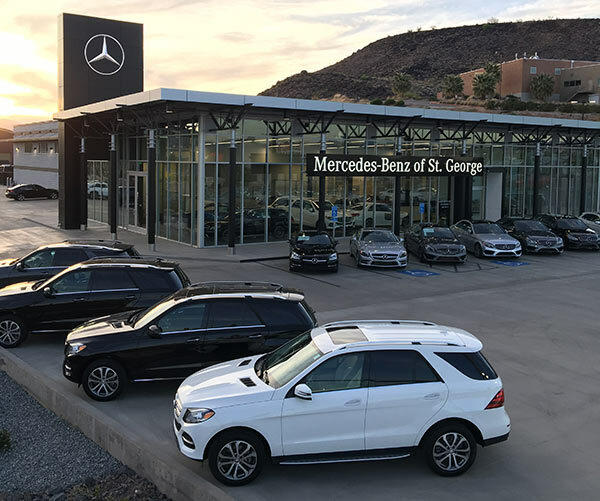 Mercedes-Benz of St. George showroom located on Black Hills Drive, St. George, Oct. 23, 2018 | File photo by Andrew Pinckney, St. George News. FEATURE — After only three years of serving Southern Utah, Mercedes-Benz St. George has been recognized as one of the top dealers in the nation, recently receiving the prestigious Mercedes-Benz “Best of the Best Gold Laurel” award. “Three years is a milestone for us,” Mercedes-Benz St. George general manager Dan Witt told St. George News. “Its so hard to get,” he said, adding that he was excited for his staff to receive recognition for their continued dedication to excellence and quality. Only the top 22 percent of dealerships are presented with the annual award for demonstrating excellent performance in a variety of areas, including customer satisfaction, new vehicle sales, leadership and management, service and parts operation, and certified pre-owned sales. Mercedes-Benz St. George has an extensive selection of certified pre-owned vehicles that deliver all of the features and comfort people expect but at a discounted price. With many types of vehicles in their inventory, Witt said customers are bound to find a vehicle to fit their every need and demand. Mercedes-Benz of St. George showroom located on Black Hills Drive, ST. George | Image courtesy of Mercedes-Benz St. George, St. George News. Interior and exterior appearance check and detailing. Witt said their ultimate focus is giving customers the best experience possible and treating everyone that enters through their glass doors like a personal friend or family member. Just as if they were leaving their own home, no one drives away from their lot with an unsafe vehicle. “This began as a family business, and we want to keep that legacy living on,” Witt said. Mercedes-Benz of St. George is located at 1792 S. Black Ridge Drive, St. George. Interested customers can also find more information and a listing of the dealership’s inventory online.